14 Masterpieces of the 16.century. Arranged for guitar quartet/ensemble. Recommended to add soprano guitars/Mandolins/Flutes/ drums.... The score lets you take full liberties to make it effective orchestral pieces. 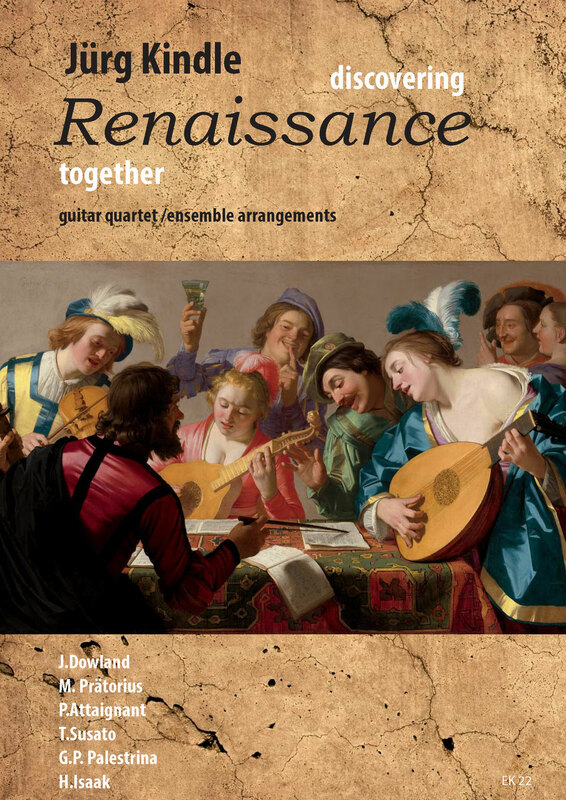 But also with a guitar quartet the music is inviting you to dive deep into the 16.century.